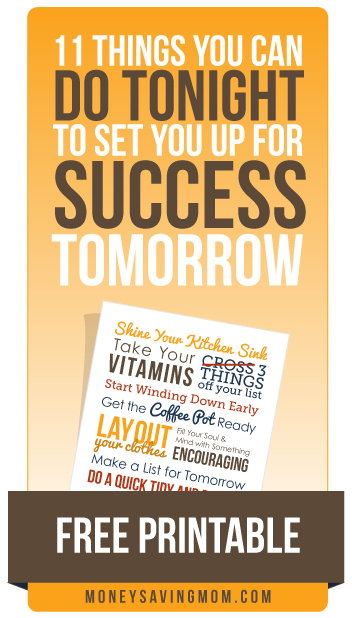 Many of you enjoyed my post on 11 Things You Can Tonight to Set You Up for Success Tomorrow that I had Joy from FiveJs.com create a printable for you. Looking for more? Read more posts about Early to Rise Challenge & Freebies. Love it! I’m printing this!! I enjoyed the post but I really appreciate you making a printable! I’m posting it on my fridge as a reminder for the whole family. Hi! I just found this on Pinterest. When I click on it I just get a black blank page. Any ideas how to get this image? I’m on a Mac. Thank you! Love your site!